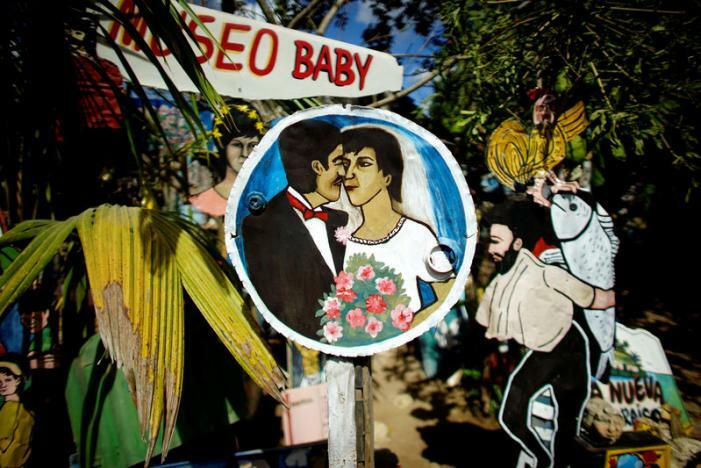 Lack of money has not kept Remigio Hernandez from making striking art. Without formal training or access to supplies, the Cuban artist has still managed to turn his ramshackle home into a museum featuring sculptures made from scraps of aluminum, busts molded from mud and portraits daubed onto discarded televisions. 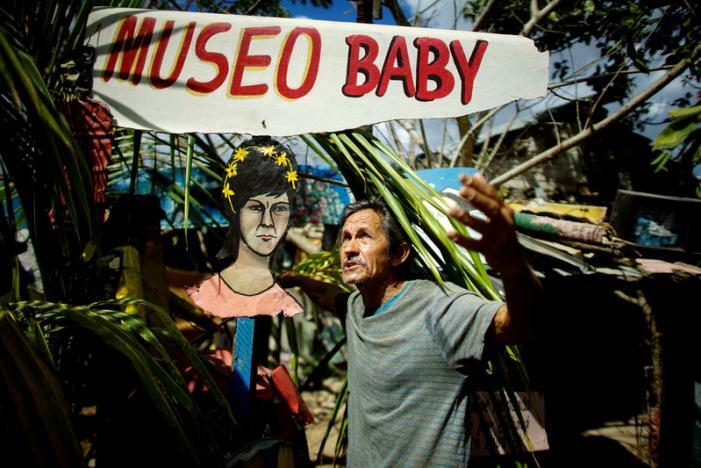 “Museum of Baby”, in the sleepy town of Moron in central Cuba, is named after Hernandez’s late wife Barbara, or “Baby”. In one life-size sculpture, she gallops off on a white steed into paradise. In a painting, she is the Mona Lisa. 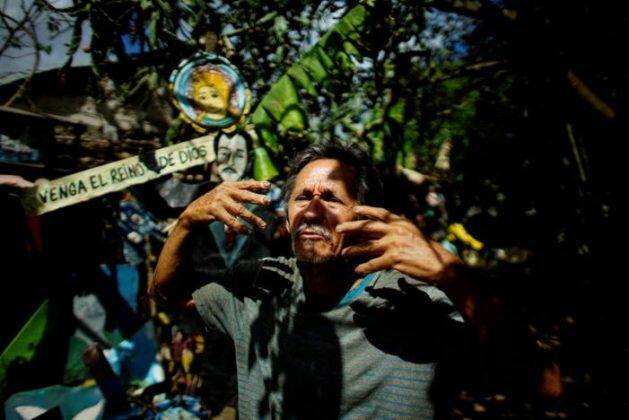 “I go looking for things thrown away in the rubbish, aluminum, cardboard, and I find ways to recycle them,” says Hernandez, dubbed locally “The Van Gogh of Moron”. “I want distance myself from all that and live dedicating my painting to poverty, humility,” he said. 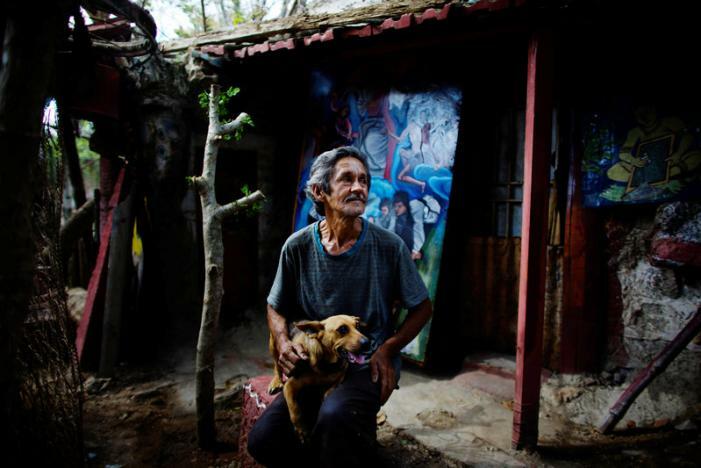 Hernandez has lived alone with his dogs since his wife died three years ago. He scrapes a living by giving cars and walls a new lick of paint or painting small landscapes and portraits. But in a country where the average state salary is around $25 per month, his clients give him whatever they can, sometimes just donating him leftover paint. The artist gets basic foodstuffs from the “libreta”, or rations book, supplementing that with bananas and mangos from his back yard. His passion for making art is all consuming. Hernandez has no mattress, just a bed frame covered with metal sheets. When an acquaintance gave him a large piece of cardboard to make it a tad more comfortable, he used it instead to paint a religious scene inspired by a canvas by El Greco. “I can’t stop painting, I was born like this,” he said. European masters El Greco, Rembrandt, Da Vinci and Van Gogh are among the artists who inspire him. In his dark shack, he has grubby piles of books and magazines that he has been given or found in the rubbish. While most of his work is earnest, some displays classic Cuban humor in the face of adversity. In one sculpture, a fisherman dangles his rod into the backyard that floods when it rains heavily. Artist Remigio Hernandez, dubbed locally “The Van Gogh of Moron”, transforms ramshackle home in Moron – in central Cuba – into art museum.